Learn how planets revolve around the sun. Overview: In this lesson, students learn about how planets revolve around the sun and play a game where students take on the roles of different planets, with one student being the sun and others being the planets that orbit the sun. Length of Lesson: 30 – 45 minutes. Describe that the Earth revolves around the sun. Understand that all of the planets in the solar system revolve around the sun. Know that all eight planets revolve around the sun. Explain that the closer the planet is to the sun, the faster it orbits the sun. Planets travel around the sun. Positions of planets relative to one another. The solar system consists of the sun and everything that travels around it (i.e., all the planets, moons, comets, asteroids, dust, gas, etc.). Print out one copy of each of the cards in the “Solar System Cards” handout, so that each image is on a separate sheet of paper. 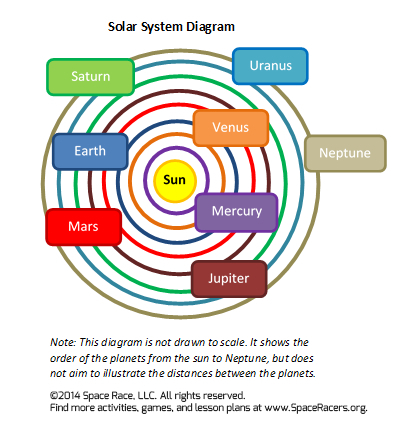 Optional: Print out a copy of the ”Solar System Diagram” to refer to the order of the planets during the lesson. If taping the “Sun” and “Earth” cards to balls, as suggested in the tip in the Materials section, print out an extra copy of the “Sun” and “Earth” cards. Find an open area in your classroom, school or outside with enough space for students to re-enact the planets revolving around the sun. Tell your students that today you will be talking about the sun, Earth and the other planets in the solar system. Ask students whether they think Earth always stays in the same place or whether it moves around each day. Explain that it moves very slowly each day. Hold up the “Sun” and “Earth” balls. Explain that the Earth goes around the sun. Ask students how long they think it might take the Earth to go all the way around the sun. Explain that it takes one whole year (365 days). Show your students “The Solar System” image in the “Solar System Cards” handout. Explain that the solar system includes the sun and everything that travels around it. Explain that all the planets in the solar system revolve around the sun, all going in the same direction. Ask your students to point out the sun and Earth. Give one student the “Sun” card and another the “Earth” card. Tape the cards to the front of the students’ shirts or ask them to hold them in front of them. Ask “the sun” to stand on the corresponding circle on the ground and have “the Earth” stand on the third circle from the sun. Instruct the Earth to walk around the sun in a counterclockwise direction. Optional: Point out the direction that a clock’s hands go in. Explain that direction is called “clockwise.” Explain that the Earth goes around the sun in the opposite direction – counterclockwise (like the hands of a clock going backwards). Instruct the student with the Mercury card to stand on that circle. Instruct both students to walk around the sun, with Mercury going faster than Earth. Give another student the Venus card and ask that student to stand on the Venus circle. Now have all three planets walk around the sun, with Mercury going the fastest, then Venus and then Earth. Keep handing out the cards—Mars, Jupiter, Saturn, Uranus and Neptune. Show students the “Solar System” card and ask them to stand on their corresponding circles. Ask the planets to start walking around the sun, all heading in the same direction (counterclockwise). Explain that as the Earth revolves around the sun, it also spins around its own axis too.  Ask one volunteer to spin in place slowly in a counter clockwise direction (turning to the left and continuing all the way around in a full circle). Ask students how long they think it takes the Earth to spin (rotate) around once. Explain that it takes one day. Now ask for another volunteer to be the sun. Have “Earth” continue to spin around counterclockwise, while walking around the sun. Have the sun slowly spin on its axis, while Earth spins on its axis, as it walks counterclockwise around the sun. Each planet spins around its own axis. An axis in an imaginary line that goes through the planet’s center from top to bottom. 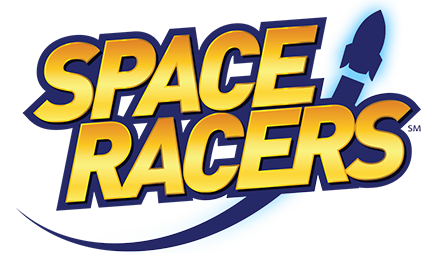 View the Space RacersTM Here Comes the Sun episode. Each of the planets revolves around the sun. All the planets also rotate (spin) on their own axes as they travel around the sun. All the planets except for Venus and Uranus also rotate in the same direction (counterclockwise). Venus and Uranus rotate in the reverse direction (clockwise). It takes a whole year for Earth to go all the way around the sun. The planets that are closest to the sun travel around faster, the planets that are farther away travel around slower. All the planets go around the sun in the same direction (counterclockwise). In addition to moving (revolving) around the sun, the planets also spin (rotate). The sun also spins (rotates) as it moves.